The largest set in the Jurassic World 2018 line-up is 75930 Indoraptor Rampage at Lockwood Estate with 1,019 pieces. There are five new elements that make their debut in a new colour and a few notable elements that are still relatively rare or new for 2018. First we have the Black Trainfront 2X6X2 (Element ID 6226343 | Design ID 17454), there are two in this set. 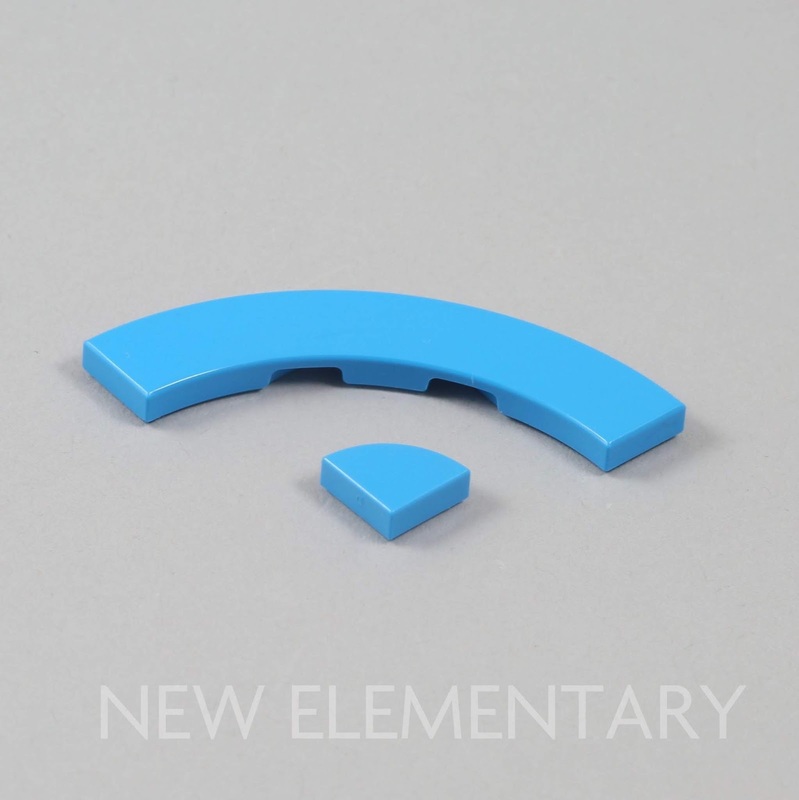 The train front element has appeared in White and Bright Blue [TLG]/ Blue [BL] in a total of six sets in the past, but this is the first time in Black. As well as being a train front, this element is commonly used for a decorative window frame as either a larger bay window or a glass roof. Accompanying the frame is the Transparent Clear Glas For Trainfront 2X6X2 (Element ID 6173965 | Design ID 17457). The next element is one I had to double-check as I was sure I had seen it before, but as far as I can see, Brick With Bow 1X3X2 appears for the first time in Reddish Brown (Element ID 6186577 | Design ID 88292) in this set and there are four. 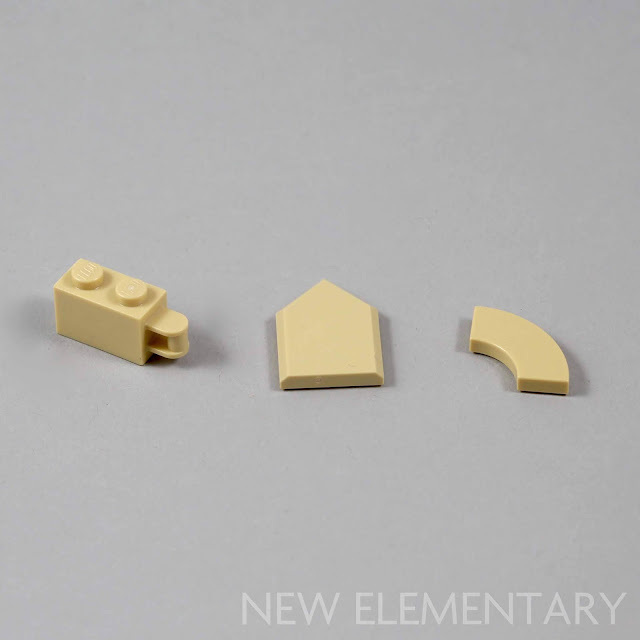 There are three new Brick Yellow [TLG]/ Tan [BL] elements; this particular colour is often of interest as parts can be used as architectural features. Tile 2X2, W/ Bow (Element ID 6226565 | Design ID 27925), shown above on the right, joins 11 other colours to give a total of 12 colours for this element. Sadly I do not have all the current colours as it would have made a lovely rainbow photograph. 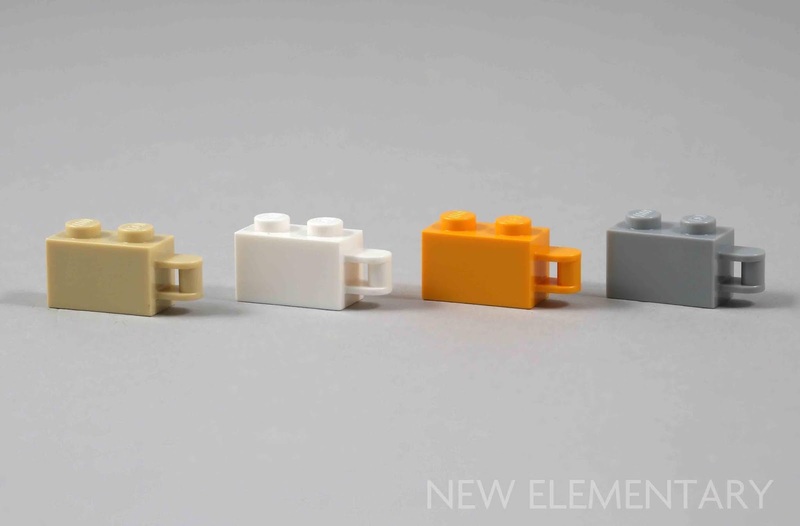 Flat Tile 2X3 W/ Angle (Element ID 6245271 | Design ID 35341), shown above centre, has now appeared (unprinted) in at least 15 colours since its initial introduction in 2016 in Nexo Knights, but this is the first time Brick Yellow has been used. Brick 1X2, W/ 3.2 Shaft, Vert. End (Element ID 6226564 | Design ID 34816) has appeared in four different colours now including White, Flame Yellowish Orange [TLG]/ Bright Light Orange [BL] and Medium Stone Grey [TLG]/ Light Bluish Gray [BL]. Interestingly, the Flame Yellowish Orange also appears in just one other set at the moment, 60160 Jungle Mobile Lab (currently discounted at Amazon USA | Amazon UK) from 2017. 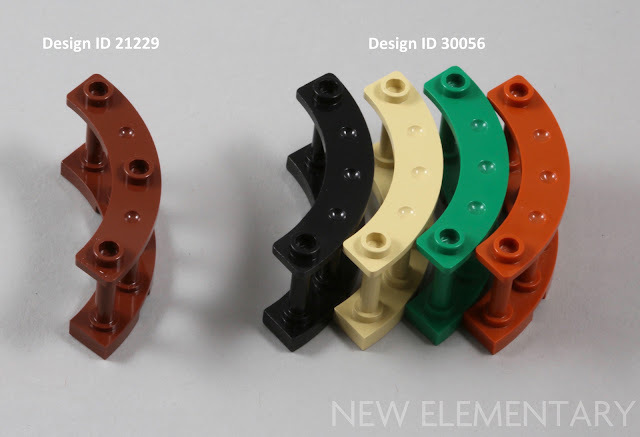 It should be noted that this element had a different Design ID, 26597, but the newer sets are using Design ID 34816. The three notable elements that I will quickly mention are as follows. Black Sausage (Element ID 6156414 | Design ID 25994) has only appeared in two other sets: 21308 Adventure Time (available at Amazon USA | Amazon UK) released in 2017 and another that you may have forgotten, 7984 Deep Sea Raider from 2011. 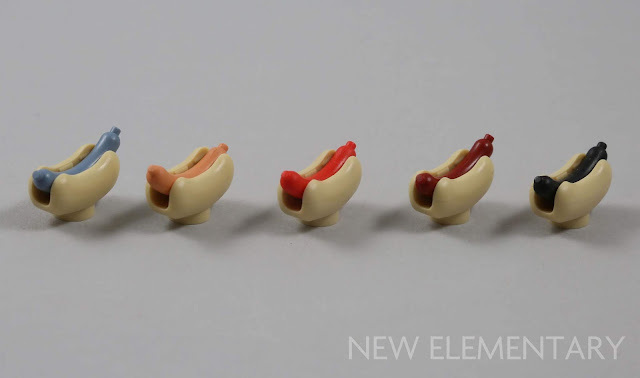 The full colour range of sausages goes from Sand Blue (aka frozen) to Black (aka burnt). White Plate 1X2, Rounded, No. 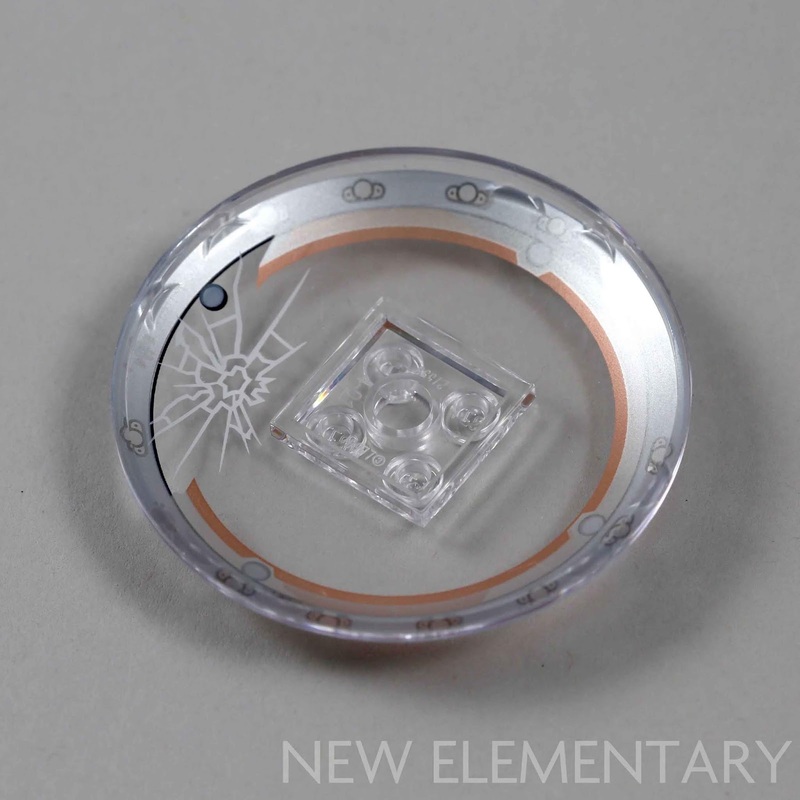 1 (Element ID 6210272 | Design ID 35480) also comes in another 2018 set, 75212 Kessel Run Millennium Falcon (available at Amazon USA | Amazon UK). 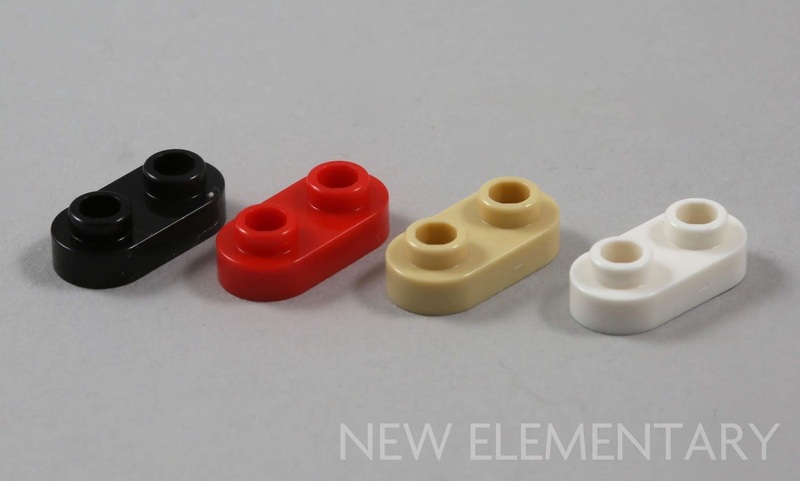 So far this great element has appeared in five different colours - can you spot which one is missing from my collection? Dark Brown Column Ø7,84 (Element ID 6211448 | Design ID 40244) appears in only one other set which was also released in April this year, LEGO Juniors 10760 Underminer's Bank Heist from the Incredibles 2 theme (Amazon USA | Amazon UK). I mention this part as it may have slipped under your radar. There’s one element in the initial photograph I haven't detailed further, as I realised White Brick 2X2X2/3, Inverted Bow (Element ID 6210385 | Design ID 32803) has appeared in four 2018 Elves sets already in 2018, so it’s practically common! Let’s just say it is there for scale. 75930 Indoraptor Rampage at Lockwood Estate is available at Amazon USA | Amazon UK. There is one new element in 75926 Pteranodon Chase: Black Net, Dia. 80 Mm, No. 1 (Element ID 6224947 | Design ID 35829). 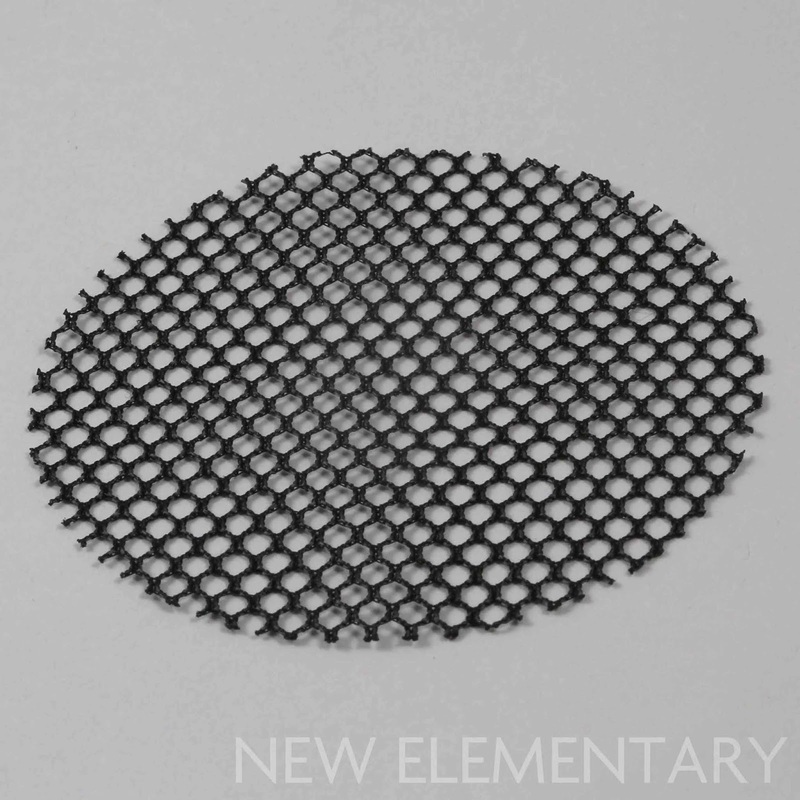 This circular net is 10x10 studs in diameter and appears for first time in black although there was a Red version in another 2018 set, 76098 Speed Force Freeze Pursuit. 75926 Pteranodon Chase is available from Amazon USA | Amazon UK. 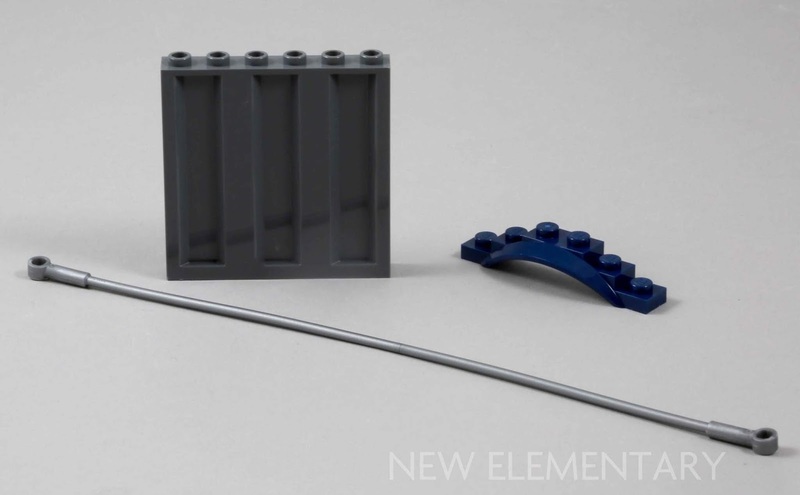 There are five new elements in this 577-piece set and one that has returned from a seven year hiatus. 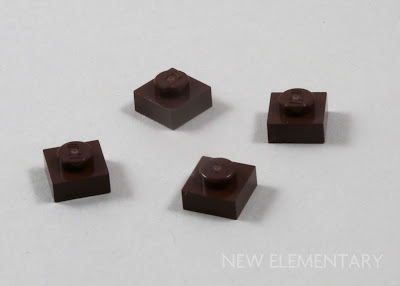 A less exciting element than others but nevertheless a NEW element is Dark Brown Brick 2X2X16 W. Ø4.85 (Element ID 6227895 | Design ID 91176), shown at the top of the above picture. It is a structural support element that has been in 13 sets since 2011, most commonly seen in Brick Yellow but also in Bright Purple [TLG]/ Dark Pink [BL], Bright Yellow [TLG]/ Yellow [BL] and White. Now to my favourite colour, Dark Azure. Tile 4X4, W/ Bow (Element ID 6199902 | Design ID 27507) appears for the first time. Dark Azure 1/4 Circle Tile 1X1 (Element ID 6199887 | Design ID 25269) is also present, having appeared in just one other set, 41191 Naida and the Water Turtle Ambush released in January 2018 (available at Amazon USA | Amazon UK). The sides of the gyrosphere are covered using Trans. Clear Satellite Dish 6X6, No. 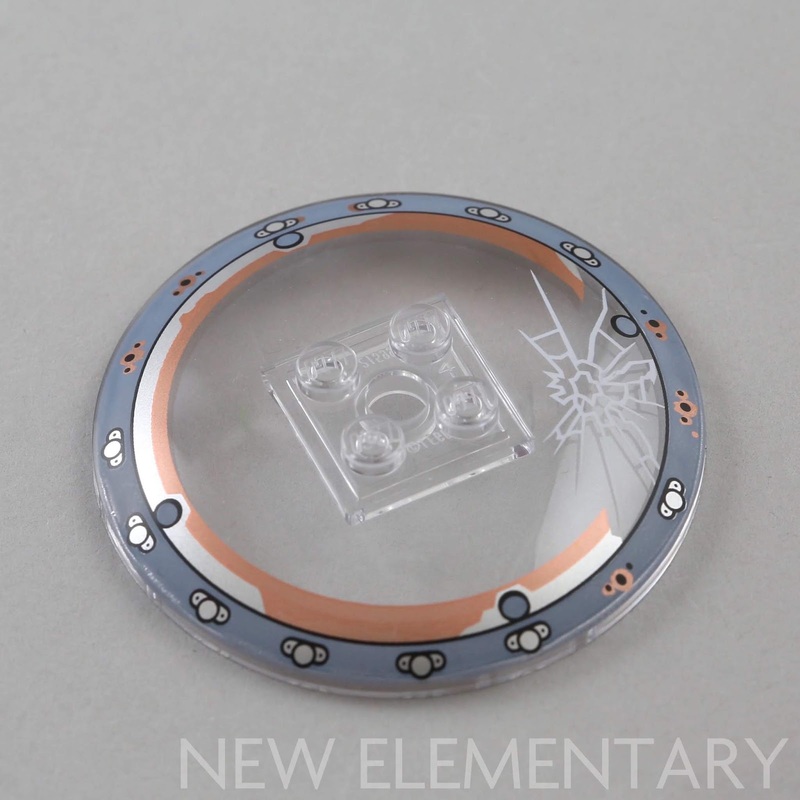 4 (Element ID 6239430 | Design ID 38622) which has a ‘smashed glass’ printed design and a nice Copper, Silver and Sand Blue edge. This would be useful as a round window in a post-apocalyptic MOC but perhaps seems a little drastic for a beautiful building. Reddish Brown Fence 4X4X2 with 3 studs (Element ID 6227891 | Design ID 21229) appears for the first time in this colour although the element itself is in 12 sets in four other colours - White, Black, Bright Reddish Violet [TLG]/ Magenta [BL] and Warm Gold [TLG]/ Pearl Gold [BL]. 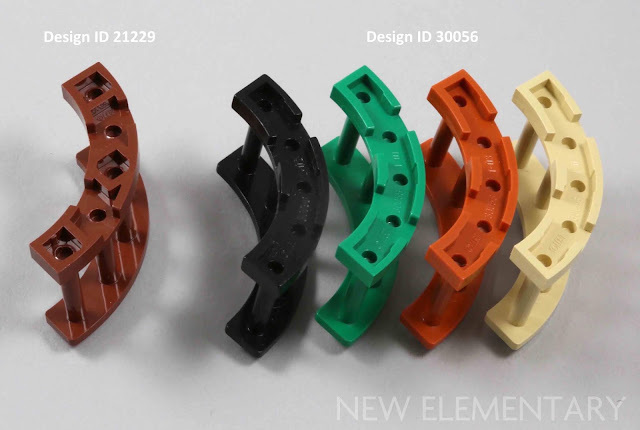 It has an older sibling called Fence 4x4x2 with 2 Studs (Design ID 30056) that appeared from 1996 until 2015 when the 3-stud design replaced this element. I had a look in my own ‘fence box’ and found a few of the older design and after a few quick comparisons; it is obvious that the 3-stud design and the cross-support base ensure improved clutch and stability. 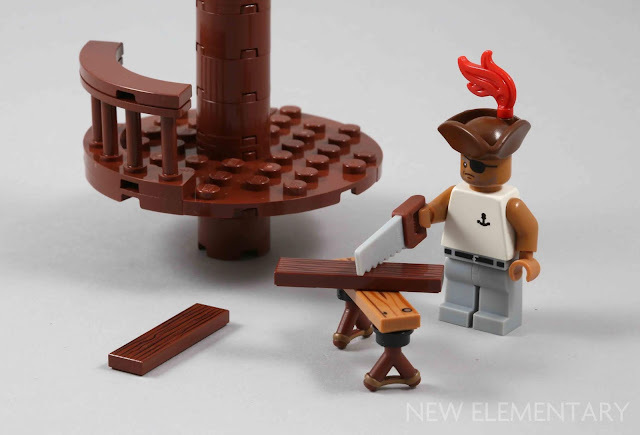 When I saw this element I thought, oh it’s wooden and would be perfect to create the crow's nest of a galleon or pirate ship. The only slight issue is that this set only has one, so you will have to hit the secondary market to complete your crow's nest... or utilise your DIY skills. 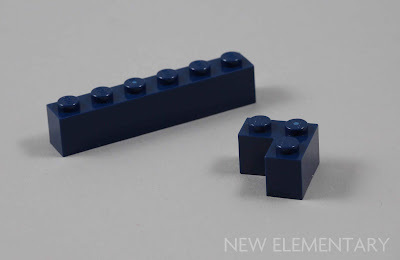 There are two noteworthy Earth Blue [TLG]/ Dark Blue [BL] elements in this set. 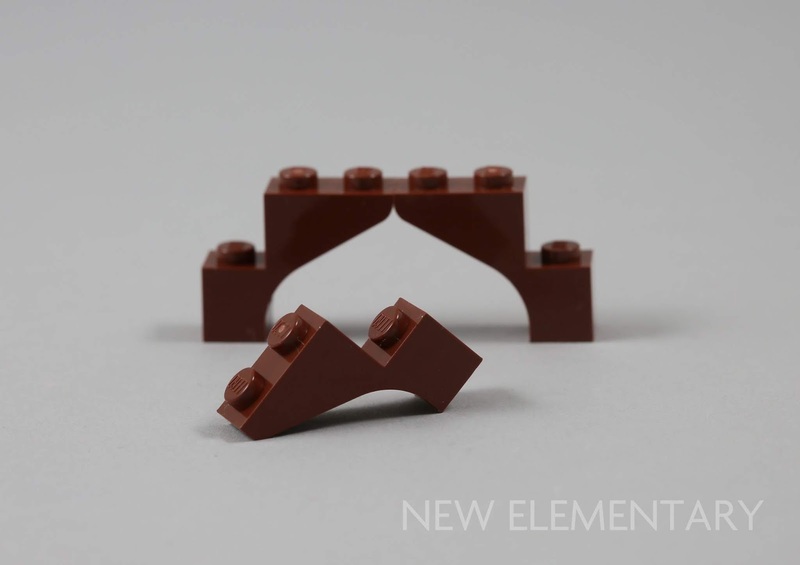 Brick 1X6 (Element ID 6221672 | Design ID 3009) I had to double check myself as I was convinced that this was not a new colour for this element. 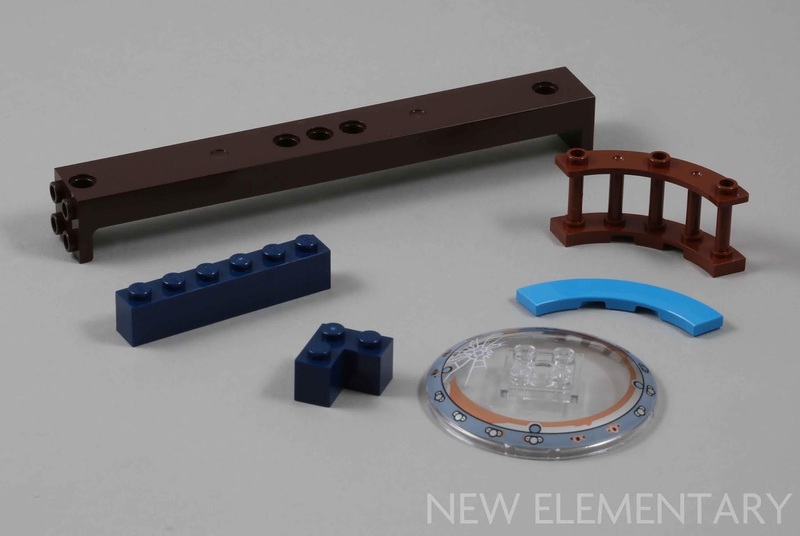 But as far as I can see this element has not been in Earth Blue in a LEGO set until now, and there’s four in 75929 Carnotaurus Gyrosphere Escape. 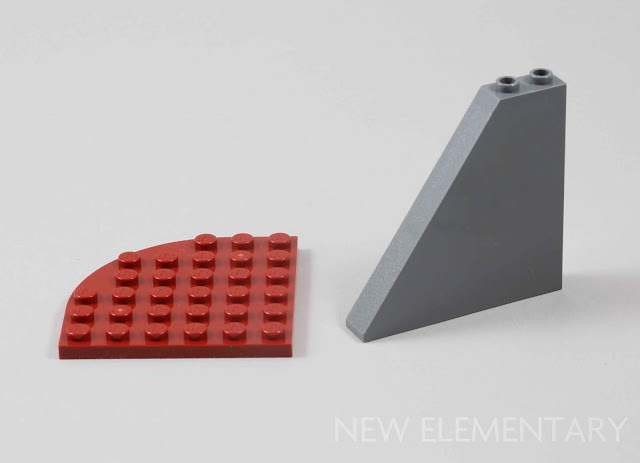 Brick Corner 1X2X2 (Element ID 6228123 | Design ID 2357) has been in 10 previous sets including some big hitters like 10182 Cafe Corner from 2007, 10187 VW Beetle from 2008 but it last appeared back in 2011 in 10218 Pet Shop so it’s nice to see this brick back after a 7 year hiatus. 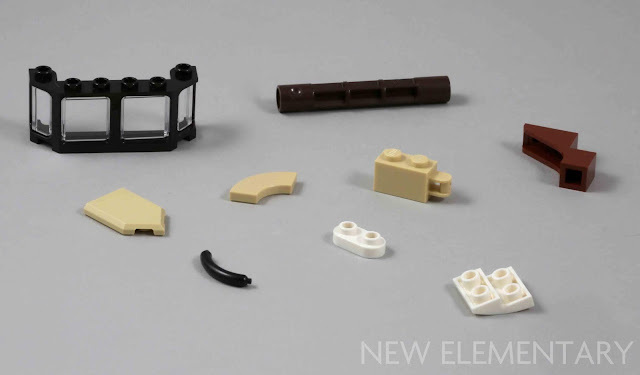 This will improve the price for anyone looking to buy these bricks on the secondary market to recreate these classic sets. Finally, for those romantic AFOLs out there, Bright Red [TLG]/ Red [BL] Flower, W/ 3.2 Shaft, 1.5 Hole, No. 1 (Element ID 6182260 | Design ID 32606) is a relatively new element as it only appears in four other 2018 sets; mainly LEGO Friends but also 40197 Wedding favor set 2018. 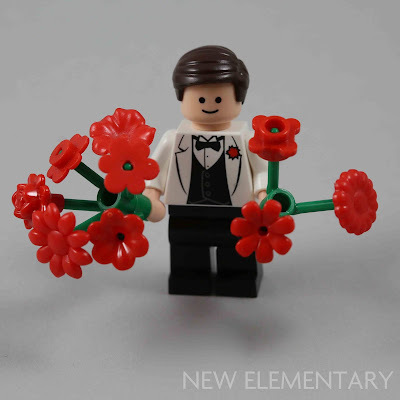 I mention it because the range of red flowers available to potential Romeos is surprisingly large now! 75929 Carnotaurus Gyrosphere Escape is available at Amazon USA | Amazon UK. There is only one new element in this set. Silver Metallic [TLG]/ Flat Silver [BL] Flex Tube, 21 Module, W/ 3.2 Hole (Element ID 6210590 | Design ID 27965) is used to create the fencing wire. Four are supplied and there are also two in 75933 T. Rex Transport. I believe this part first appeared in Bright Yellow in 41234 Bumblebee Helicopter (available at Amazon USA | Amazon UK) back in 2017 but since then it has also appeared in Medium Lavender and Warm Gold. There are a trio of notable elements that only appear in one other set thus far and are worth a quick mention. White Plate 2X3 W/ Hor. 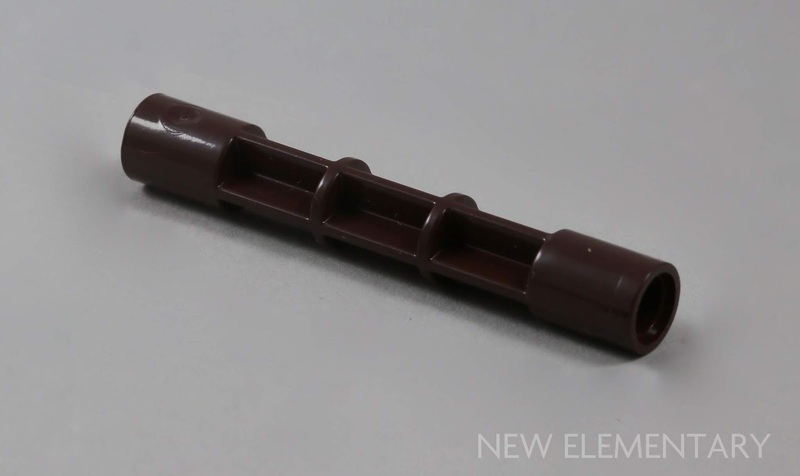 3,2 Shaft (Element ID 61884000 | Design ID 30166) is of note as they only appear in one other set at the moment, the super expensive 75192 Millennium Falcon (Amazon USA | Amazon UK). Medium Stone Grey Strap 12M (Element ID 6192730 | Design ID 18390) also appears in one other large set, 41318 Heartlake Hospital (Amazon USA | Amazon UK). 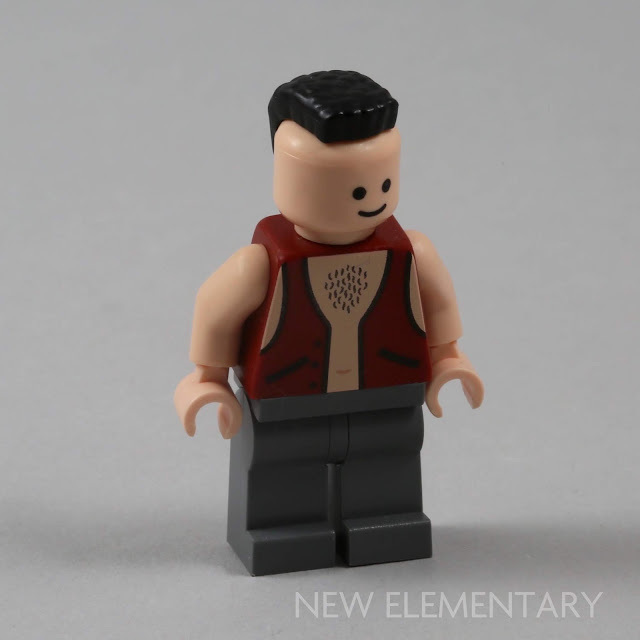 Black Mini Wig, No.126 (Element ID 6158192 | Design ID 27385) appeared back in 2016 in a LEGO Dimensions Wave 6 fun pack, 71251 B.A. Barracas, but has not appeared since although it also appears in a flattering shade of Bright Red. 75931 Dilophosaurus Outpost Attack is available at Amazon USA | Amazon UK. 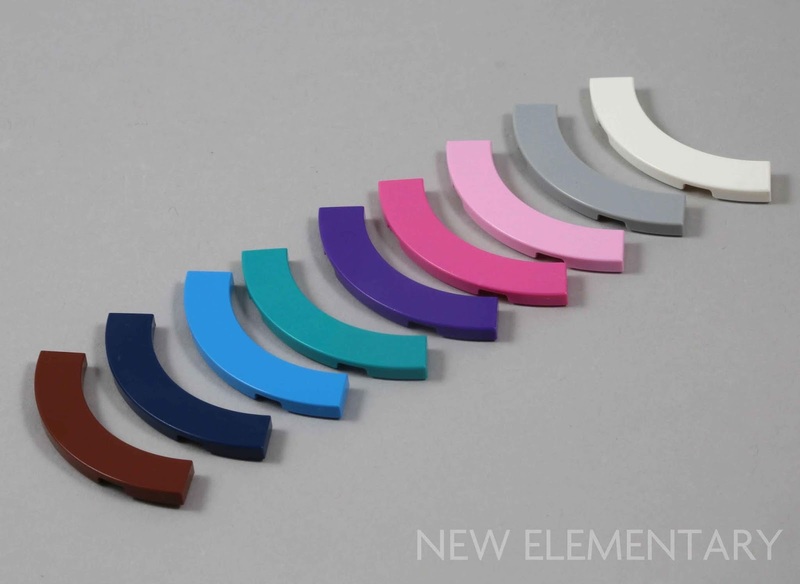 There are two new elements in this set that are both elements that appear for the first time in a particular colour. Firstly we have Dark Red Plate 6X6 W. Bow (Element ID 6227518 | Design ID 6003) which was another slight surprise as I thought I had seen this before. 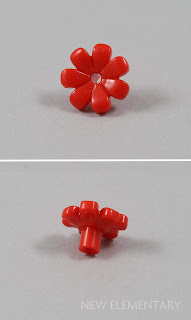 Although this part has been around since 1992 in 17 other colours, this is the first time it has appeared in Dark Red. The second new element is Dark Stone Grey [TLG]/ Dark Bluish Gray [BL] Roof Tile 1X6X5 (Element ID 6227519 | Design ID 30249) which is another element that has been around since the early 'nineties – 1993 to be exact – but appears for the first time in Dark Stone Grey in this set. While not new, Silver Metallic Kitchen Equipment No. 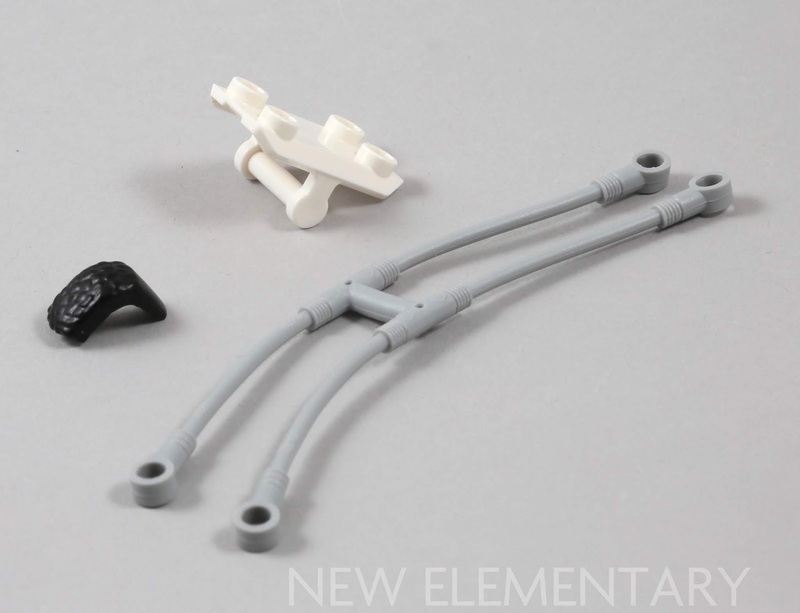 4 ‘spoon’ (Element ID 6196796 | Design ID 34173) has only appeared in two LEGO Minifigures packs to date – Lloyd Garmadon and Volcano Garmadon from 71019 The LEGO NINJAGO Movie Series. 75932 Jurassic Park Velociraptor Chase is available at Amazon USA | Amazon UK. There are three new elements in this set although we have mentioned the first already as Silver Metallic Flex Tube, 21 Module, W/ 3.2 Hole (Element ID 6210590 | Design ID 27965) also appears in 75931 Dilophosaurus Outpost Attack. The other two new elements are Dark Stone Grey Wall 1X6X5 Container (Element ID 6224274 | Design ID 23405) and Earth Blue Screen 1X6X1 W. Edge (Element ID 6227220 | Design ID 62361). Finally, I just wanted to mention one other element in this set as Dark Brown Plate 1x1 (Element ID 6194729 | Design ID 3024) has only appeared in two BrickHeadz characters released in April 2018 and no other sets thus far. 41606 Star-Lord (Amazon USA | Amazon UK) has four, and 41609 Chewbacca (Amazon USA | Amazon UK) has an impressive 12. 75933 T. Rex Transport is available at Amazon USA | Amazon UK. Ooo now that will be a great addition, especially for those Spacers! 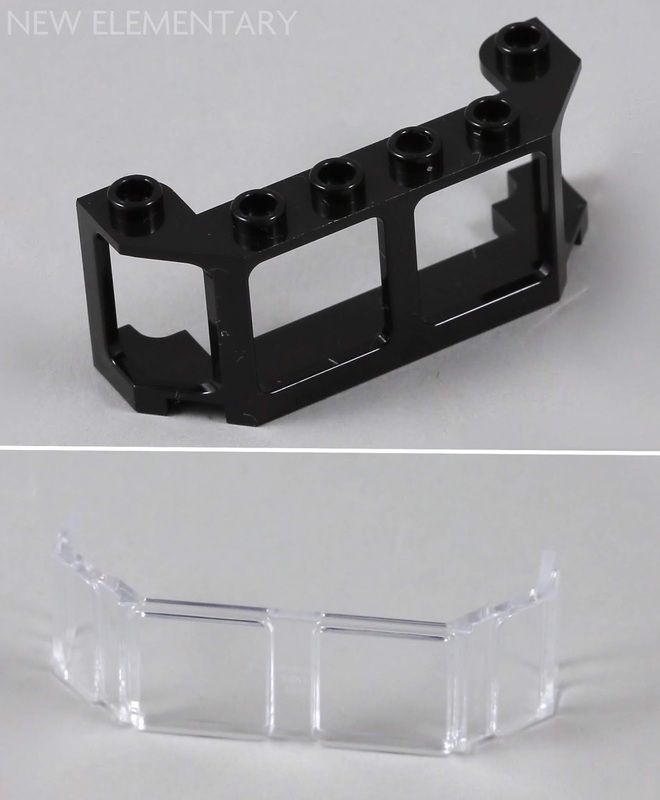 Is the grey strap element longer than the one listed as x169 on bricklink? Bricks and Pieces wants a whopping £1.56 for the 6192730! Ah apologies Kev and other readers, you are entirely correct as the Design ID has changed rather than the mould on looking at the element supplied with sets from the early 2000s - thanks for mentioning that as I think they are the same! Thank you for all the info on new pieces!